Realizing when bullying is taking place is a necessary first step in finding solutions. By understanding the scope and roots of the problem, you will get an idea of how to start proactively working to address bullying, including teasing, name-calling, shunning, and physical intimidation or assault. 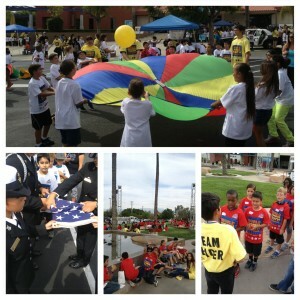 Does your school, sports club, or youth group create a culture of respect, caring, and safety for everyone? Are children appropriately supervised during recess periods, lunch and before and after school? Do educators have adequate support and training for addressing bullying? If you see bullying take place or hear about it, remember that your reactions provide a context for how the kids involved will respond to and interpret the situation. Kids need to see adults being powerful and respectful in responding to problems. If parents or teachers get upset and overreact, kids are more likely to get upset and might even avoid telling adults about future problems. Staying calm, respectful, and persistent will make you more effective in talking to administrators, educators youth group leaders, or parents about their response to a bullying problem. Not everybody reacts in a helpful way when first approached so be prepared to persist. Positive peer relationship skills help to prevent and stop bullying. Tell your children that they have the confidence and power to walk away from any situation. Making safe choices like stepping out of a line or changing seats is sometimes all that is needed to make a bullying problem stop. Ensure that your child is persistent in getting help and is prepared to continue to ask for help even if an adult does not respond immediately. Know what other parents and adults in your community are doing to stop bullying. Insist that your child’s school has a mandatory district-wide anti-bullying policy and educates their staff on diffusing and recognizing all forms and types of youth bullying. Write to your county- and state-level officials telling them of the seriousness of bullying and demand they make it a top priority in their campaigns. 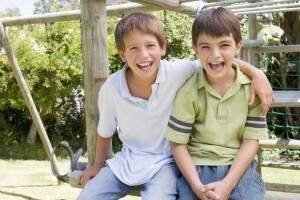 If you would like to learn more about bullying and what you can do to prevent it, contact Simple Acts of Care and Kindness at 866-459-7225 or visit www.simpleacts.org for additional information regarding bullying. Please join us for our first Annual Imagine Dinner to honor the special members of our community. We will be honoring their selfless acts of care and kindness on September 29th, 2015 from 6:00pm-8:00pm at Crossroads Christian Church in Corona. Individual Tickets are only $15, but if you’d like the opportunity to be a sponsor you have that option as well. There are three types of sponsorship opportunities which include Visionary Sponsor, Fantasy Sponsor, or Creative Sponsor. If you decided to be a sponsor you will get recognition throughout the Imagine Dinner and your businesses logo will also be featured on the SACK website through June 2016. So come honor all of our sponsors, while also raising awareness to help prevent and stop bullying! Even the simple act of showing up makes a difference all in its own! We hope to see all of our supporters there, because together we can make a difference. If you have any questions regarding The Imagine Dinner feel free to contact Shirley Zink at 714-473-7887. Bullying is aggressive behavior that is intentional and involves an imbalance of power or strength. It is a repeated behavior and can be physical, verbal, or relational. While boys may bully others using more physical means; girls often bully others by social exclusion. Bullying has been part of school, and even workplaces, for years. More recently, though, technology and social media have created a new venue for bullying that has expanded its reach. Cyberbullying is bullying that happens online and via cell phones. Websites like Facebook, MySpace, Tumblr and Formspring allow kids to send hurtful, ongoing messages to other children 24 hours a day. Some sites, such as Tumblr and Formspring allow messages to be left anonymously. Preventing and stopping bullying involves a commitment to creating a safe environment where children can thrive, socially and academically, without being afraid. APA recommends that teachers, parents and students take the following actions to address bullying. 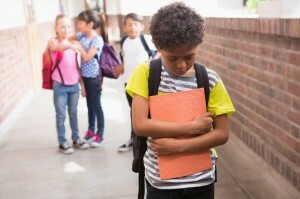 Teachers and administrators need to be aware that although bullying generally happens in areas such as the bathroom, playground, crowded hallways, and school buses as well as via cell phones and computers (where supervision is limited or absent), it must be taken seriously. Teachers and administrators should emphasize that telling is not tattling. If a teacher observes bullying in a classroom, he/she needs to immediately intervene to stop it, record the incident and inform the appropriate school administrators so the incident can be investigated. Having a joint meeting with the bullied student and the student who is bullying is not recommended — it is embarrassing and very intimidating for the student that is being bullied. Until something can be done on an administrative level, work with your child to handle bullying without being crushed or defeated. Practice scenarios at home where your child learns how to ignore a bully and/or develop assertive strategies for coping with bullying. Help your child identify teachers and friends that can help them if they’re worried about being bullied. It may be difficult to not bully back, but as the saying goes, two wrongs don’t make a right. Try not to show anger or tears. Either calmly tell the bully to stop bullying or simply walk away. As his high school experience got worse, he eventually turned to home schooling as an escape from the torment. Flash forward a couple of years, and Colfer lands himself a starring role on the widely popular television show “Glee”. He gets cast as an individual that goes through the same issues as he did in high school, except this time, Colfer gets to experience it under spotlight. As apprehensive as he was to take in a role that would cause so much controversy, it’s safe to say that society has been opening its eyes over the last couple of years. The role of Kurt brought Colfer a sense of escape as he was finally able to let go of his high school years. He turned an incredibly bad situation from his past into fuel for a very successful life as an openly gay actor. As of now, he poses as a role model for so many individuals dealing with bullying. Approximately 32 percent of students report being bullied at school. Bullied students are more likely to take a weapon to school, get involved in physical fights, and suffer from anxiety and depression, health problems, and mental health problems. They suffer academically (especially high-achieving black and Latino students). And research suggests that schools where students report a more severe bullying climate score worse on standardized assessments than schools with a better climate. Educators, Parents, Guardians, and Peers all around should be practicing techniques to help stop bullying. 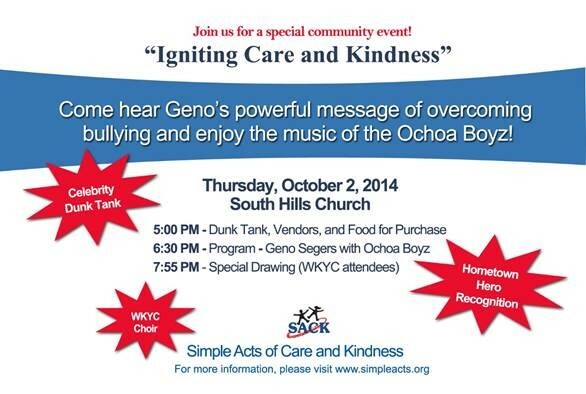 Join SACK at South Hills Church in Corona, CA for a special community event against bullying! 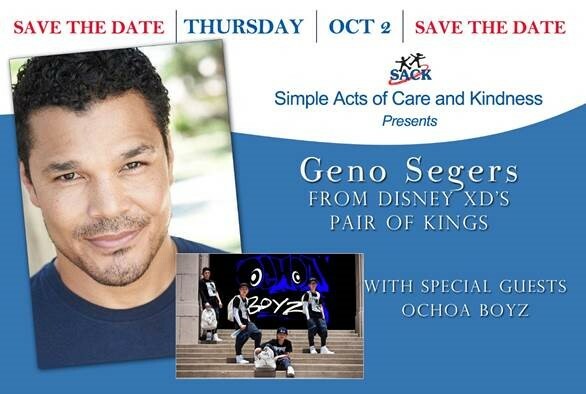 Special guest speaker Geno Segers from Disney XD’s Pair of Kings and music by the Ochoa Boyz! Save the Date: October 2nd, Festivities start at 5:00 pm. Simple Acts of Care and Kindness kicked off its annual World Kindness Youth Conference again this year at Crossroads Christian Church. This two-day event gets bigger and better each year and the singers, speakers and sensitivity camp exhibits were amazing! A huge “Thank you” to all of our 4th graders and teachers who participated in the event as well as all of our volunteers who make this event happen. We couldn’t do it without you. The W.K.Y.C. was first held in 2004 and uses seminars and activities to help students learn the many areas of life into which care and kindness can be inserted. Seminars and discussion groups dealing with bullying and other relationship topics fill the morning. After lunch, students visit exhibitors who have come with messages about care and kindness for themselves (staying health with good food and physical activity), their family (anger management, safety, emergency procedures at home), their community (programs for the developmentally disabled, helping keep parks clean and green…), and their world (recycling, planting trees…). Simple Acts of Care and Kindness proudly serves Norco, Riverside, Lake Elsinore, San Bernardino, Eastvale and surrounding areas.